With a wide variety of top line, name brand vacuum cleaners, strongsville Vacuum is the superior alternative to big box stores. Whether it's superior selection, personal service or expert product knowledge, no one tops Strongsville Vacuum for the best products at affordable pricing. 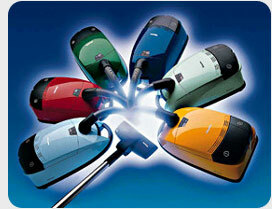 From vacuums to rug shampooers to steam vacuums, make Strongsville Vacuum your first choice for all you vacuum needs. Stop in our showroom to see our selection! Click here for our specials.